Ask people about Cyprus and most will likely mention the “great” clubbing scene of Agia Napa. Once pretending to be the equivalent of Ibiza, the beach resort located on the South-East of the island, remains the attraction for the young summer crowd. So, if like them, your idea of excitement is to get burned by an unforgiving sun on a beach full of tourists trying to evaporate their late night alcohol abuses, be my guest ! 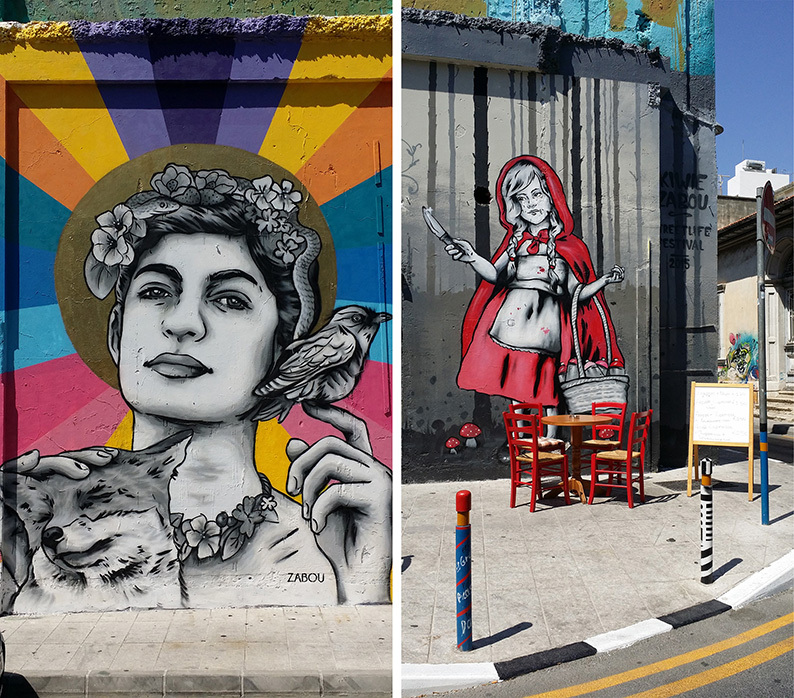 Fortunately for the rest of us, Cyprus offers a lot more valuable experiences to our curious mind, all of which you’ll enjoy even more during spring or fall, when temperatures cool down a bit, and the party crowd returns to work. May it be its rich multicultural history, that left us many Hellenistic ruins, castles, temples, monasteries, churches or mosques to visit… Its diverse landscape, often left untouched, with isolated beaches, rocky hillsides covered by vineyards… Its mountains with their promising network of trails… Or the laid back, easy going life of its traditional villages… There is a Cyprus for everyone. 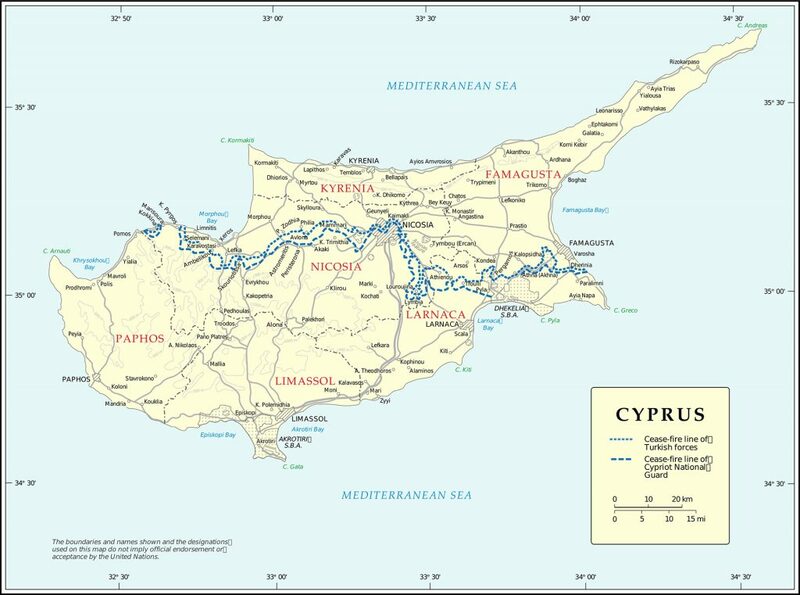 Cyprus is divided in two. The Greeks on the southern side, the Turks in the North. With this guide we only focus on the Greek side of the Island. Cyprus is part of the EU, as such European passport holders do not require a visa to enter the country. However, due to the political situation on the island, you will be denied entry to the Greek side if you first entered through the Northern side, controlled by Turkey. For more infos regarding requirements, check the official website for visas. It depends on where you are coming from. There are two main airports, Larnaka and Paphos. You’ll most likely arrive at Larnaka which is served by most airlines. Both are small, have rental car offices and are easy to get in and out. You need to rent a car. Check and compare. 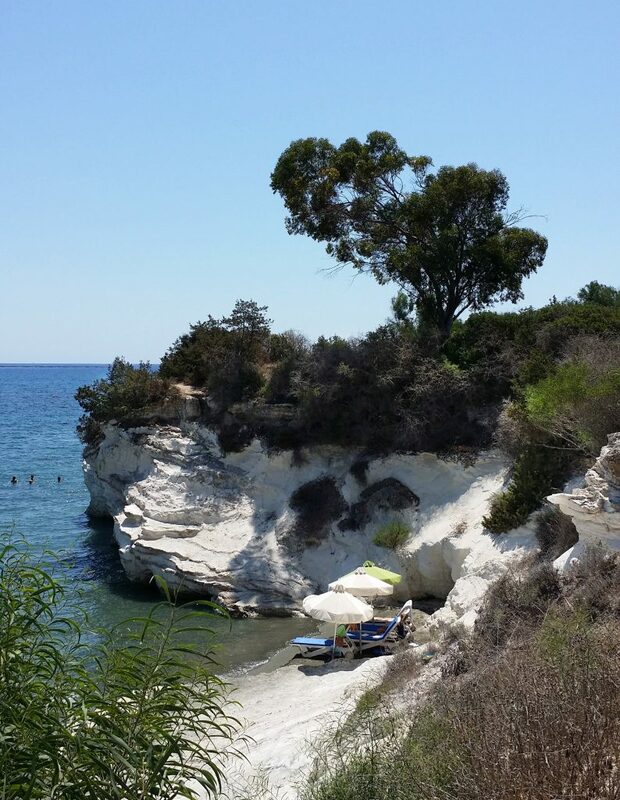 Our advice, go for a 4×4 or all wheel drive SUV if you want to enjoy Cyprus fully. Roads are very good, but a lot of interesting places are still reached by dirt road, especially the Akamas Peninsula. We took a small Nissan Micra to places it should never have seen, and were lucky to bring it back in one piece. I have a lot of off-road experience which did help avoid disaster, but I wouldn’t do it again. Here is a good option with Hertz where for 212 € for four days you can have a very capable SUV with enough off-road capacities to take you anywhere. Cyprus is a former English colony, as such you’ll drive the English way. It takes about a day to stop turning on the whippers instead of the turning signals, or entering the freeway on the wrong side. As long as you survive the first day, you’ll be good to go for the rest of the trip ! Many, many options here regardless of your budget, Booking.com or I-escape.com to help you choose. You can either make your visit a road trip and move on to a different hotel every night, or, because the island is rather small, spend every night in one main location (or two) and go explore the surroundings from there. This is the option we chose. Either way is good. 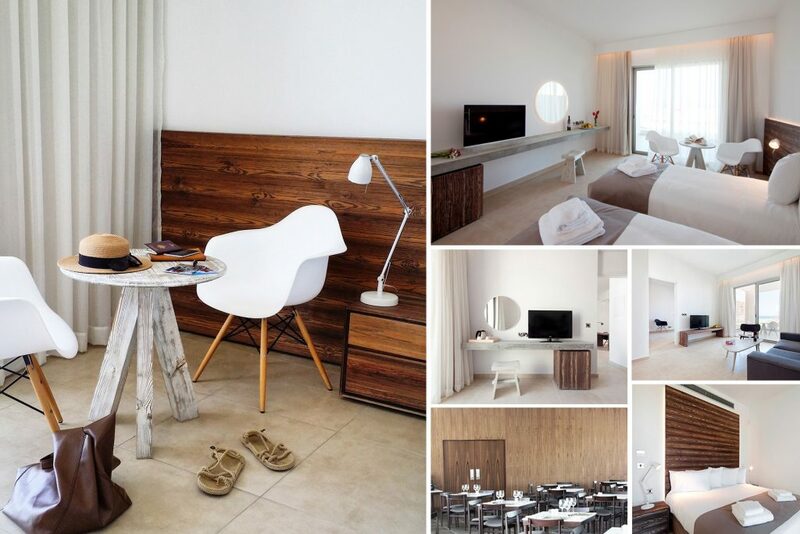 The two hotels we tried and recommend are the Amphora resort in Paphos, and the Apokryfo in Lofou. you can read about both places further along in this guide. As a rule meals are cheap and served in very large portions. I had no problem finding Vegan options on the menu. The cook at the Apokryfo made delicious meals specially for me. Avoid summer, too hot, too crowded. Visiting the archeological ruins under a 38°c sun is not a good idea. Avoid school holidays if you can, particularly English ones, as well as the Greek Easter season. (All dates vary annually so check before you book your trip) Early spring or late fall are best. Very popular among Russian and English tourists during the summer months, but much quieter the rest of the year. Because I try to be complete, I unfortunately tested the local hospital services in Southern Cyprus. We had a bad accident while on a trail in the Troodos mountains. 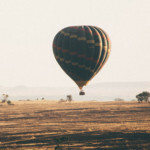 We had no issue with the phone coverage, but explaining our location in the wild to local authorities proved very complicated and we lost a lot of precious time, which could have lead to disaster. Make sure you can locate yourself precisely where ever you go. (I now always carry a small GPS devise with me). Once in the hospital, the staff was perfect and performed many extra tests to make sure we were really ok. All we had to pay was 10 €, simply because we were not Europeans, otherwise all of this adventure would have been free of charge. Can’t thank the nurses and doctors enough. 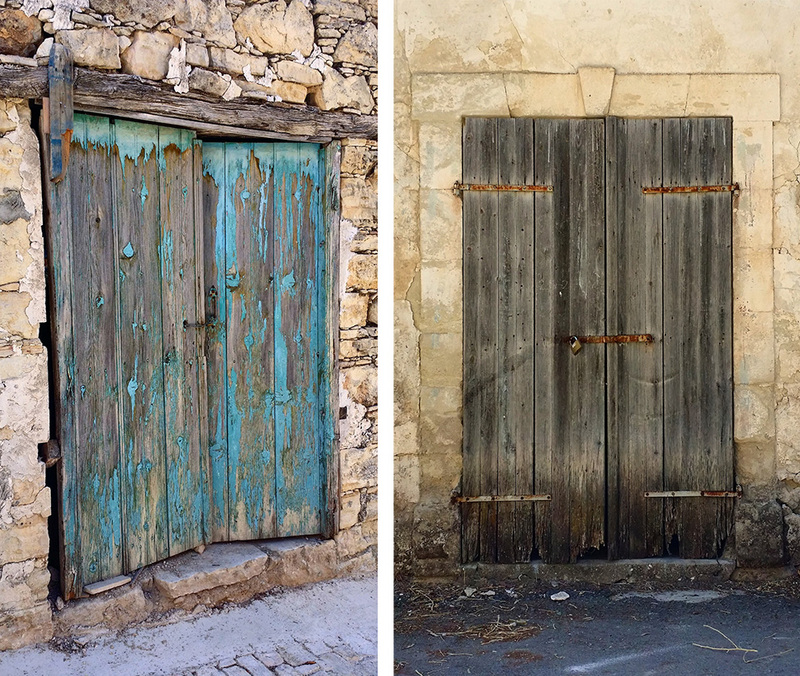 Exploring the coast from Larnaka to Paphos. We land early morning in Larnaka, coming from Dubai. The first thing we notice, Cyprus as a country does not exist ! Arriving from the UAE, where the Emirates colors are flying off every single building, pole or shrub, we hardly ever see a Cyprus flag, all replaced by the Greek one on this side of the island, the Turk on the other side. Are we in Cyprus or Greece, not exactly clear, to us or the locals. Once all good with customs, car rental, and else, we still have plenty of time to explore the coast before reaching our hotel in Paphos, on the other side of the island. All road directions are pretty clear, main tourist attractions are well indicated, both in Greek and English, and even without a GPS we have no trouble finding our way. Cyprus being a small island, you’re never far from your destination, no matter were you stand. After driving a little while and getting used to local traffic, we take our first break around Governor’s beach, a little before Limassol. There, small coves, easily accessible for most, offer protection from the wind and clear blue waters for a pleasant swim. Happiness !! The first cultural stop is the ancient site of Amathous. Here, lay the foundations of ancient temples dedicated to Aphrodite and walls of a 3.000 years old royal city. Like many other sites around the island, you will need a lot of imagination to picture what it looked like back then. To fully enjoy the visit and understand what you are looking at, study the history of the site online before hand. 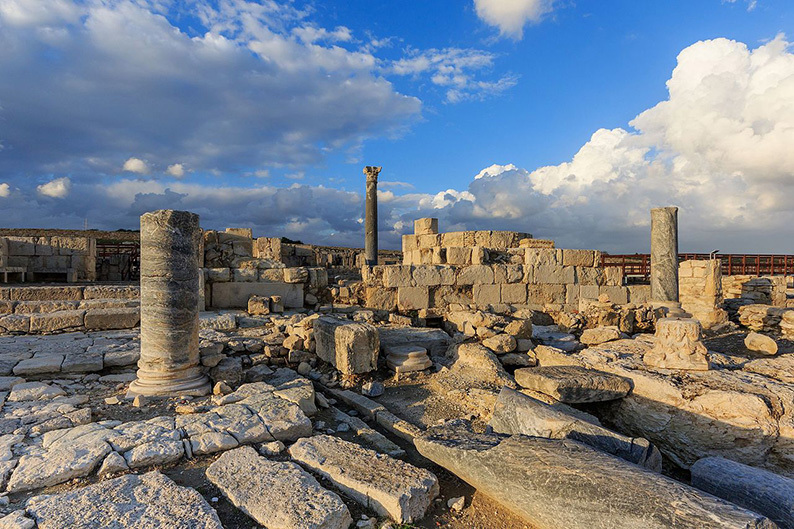 One version claims it was named after the king of Paphos mother Amathousa, and was a flourishing sea port from 1.000 bc till 700 AD, when it felt victim of repeated raids by Saracens and the sacking of King Richard coeur de lion on his way to the crusades. Excavations are ongoing as new sites are discovered regularly, but to be fair a visit of the Limassol Archeological museum near by will show you a lot more. On the other side of Limassol, high on the cliffs looking over the sea, stands the ancient site of Kourion. 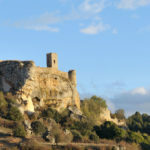 It is in a better shape than Amathous, and you can better appreciate some of the architecture, particularly its theatre. Destroyed by an earthquake in 365 AD, it was until then one of the most “civilised” roman outpost of the East. 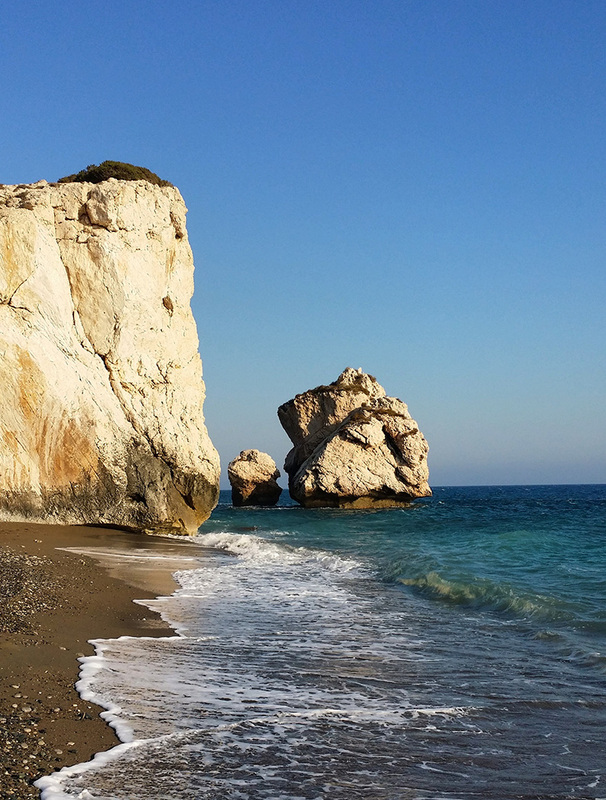 Finally our last stop before reaching Paphos is the beach of Petra Tou Romiou. The legend claims it is the beach that saw Aphrodite, the goddess of Love rise from the sea. As such it attracts a lot of romance seekers looking to draw hearts in the sand or with pebbles, for the sake of instagram selfies recognition ! Nevertheless it is a beautiful spot to enjoy the sunset and relax for a moment. Paphos is the major beach resort town on the south western side of Cyprus. Compare to Agia Napa on the east, it is more family oriented. 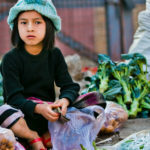 Yet it is still full of modern resorts and restaurants serving “international cuisine”. In other words, nothing very authentic here to report beside its archaeological park, now a UNESCO world Heritage site. It is too late to visit for us, which is fine because the park is best seen in the early morning hours when the sun stands on the right side for your site pictures. 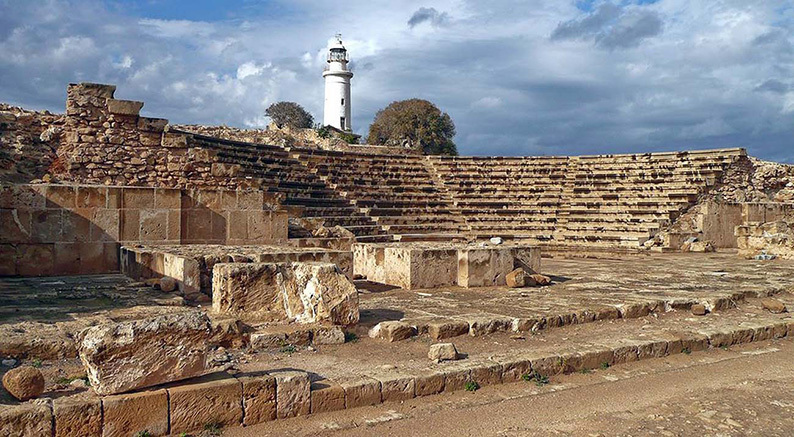 Paphos is an excellent base to explore the Akamas Peninsula, and the Troudos Mountains. 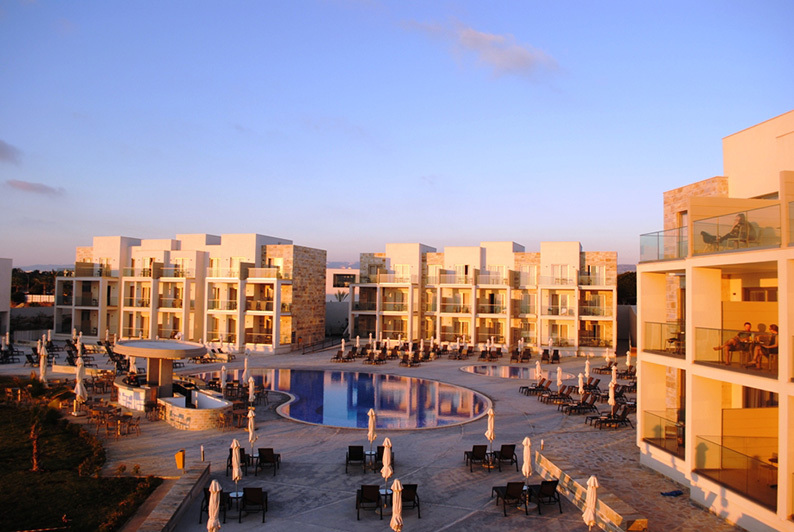 We have reserved a room at the Amphora Resort on the Kato Pafos beach front. On booking.com it showed a minimalist and clean modern design at an affordable price. You always have to be careful with those, because often the minimalist design approach is only a disguise for a management with no budget, thinking that cheap Chinese copies of a Eames chair will compensate for an awful bed and poor service. Lucky for us the Amphora is exactly what it pretended to be. Good location, good design, good service… All being said, a good choice ! After spending a good couple of hours at the Archeological park of Paphos, we venture north for the day exploring the Akamas peninsula. It is meant to be the least developed part of Cyprus, and that alone makes it attractive to me. Only least developed also means very few roads, if any, mainly dirt tracks. That is never a problem when driving my Jeep, au contraire, but seating in a little rented Nissan Micra, it turns out to be quite challenging. Pushed that vehicle far beyond it’s original purpose… Was a bit risky at times, but all worth it. They have “desert safaris” packages you can book from your hotel in Paphos, where crammed in a Defender 110 you will be driven around the most obvious areas, but nothing beats the freedom of tracing your own routes. Cyprus is a 4×4 heaven and you’re never far from safety, no matter where you go. I won’t mention the quads you can rent. Those are mostly used to parade on the beach front. 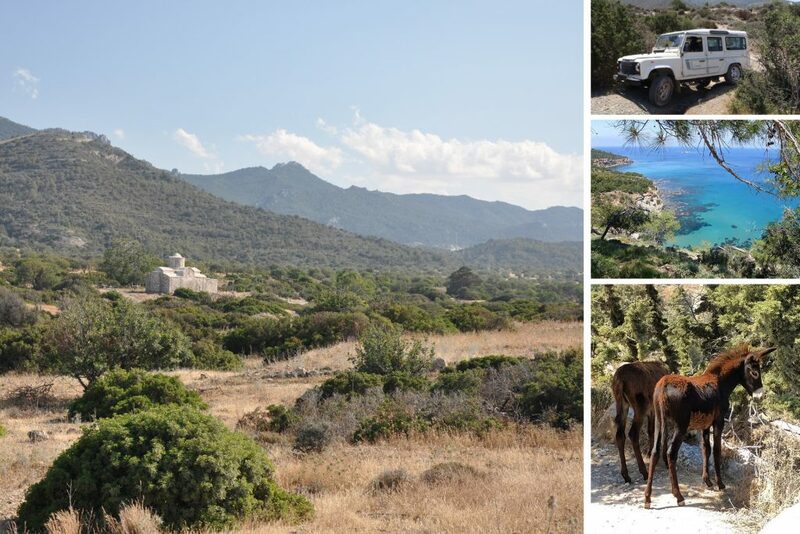 The ideal is to drive around the dirt trails all the way to Lakki on the north side of the Peninsula and have lunch there before taking a walk on the “Bath of Aphrodite trail”. You can then find an isolated cove for you to enjoy the sea for the rest of the afternoon, before heading back to Paphos. You can also decide to camp on the beach, or somewhere on the cliffs if you brought camping gears with you. You’ll have to be discreet, wild camping isn’t allowed in Cyprus, but somewhat “tolerated” in some areas. Just make sure to leave no trace. All well deserved. We stayed in the Almond room overlooking the pool on one side, the hills on the other. It’s authentic and traditional, yet doesn’t feel old and out of taste. The staff is here for you as if coming home to friends, and the food prepared specially for my vegan diet. I could live here !! If I was to do this trip again I would spend the four nights here. 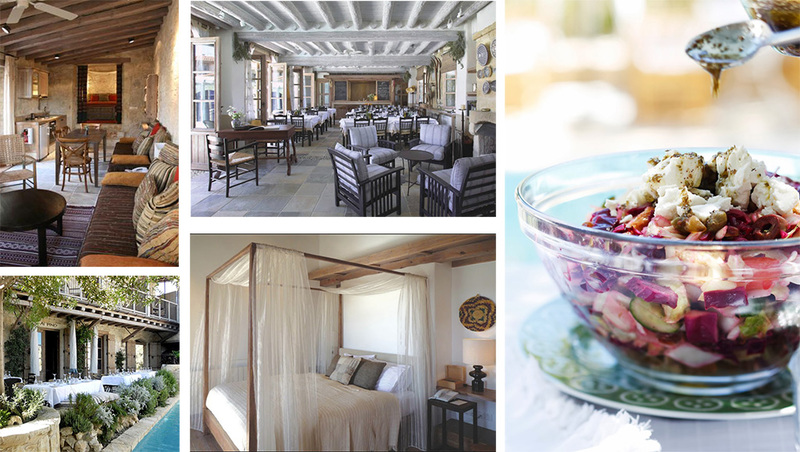 Being centrally located it allows you to explore the main local attractions without too much of a drive, and offer a more genuine experience than the modern resorts of Paphos. 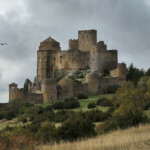 From Lofou to Troudos is a charming scenic little mountain road, with small villages and monasteries. Religion is a big part of the local culture and can been seen everywhere along the way. Many of those churches and monasteries can be visited, but it takes a little planning, as most are closed to the public and bookings for visits need to be made in advance. Of course, never planning for much in life, we did not ! Still we managed to see a few well worth it. Kykkos which is the main local attraction, Chrysorrogiatissa and Panagia Tou Sinti. 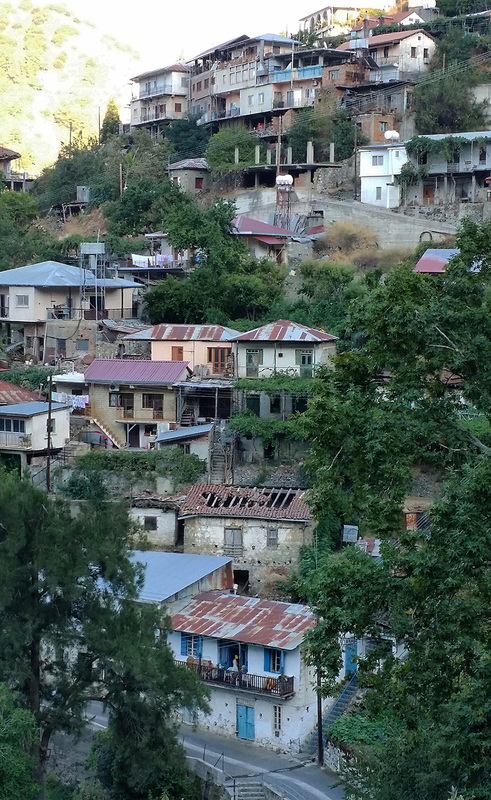 The last one is a ruin resting at the bottom of a valley. Getting there can be a stretch with a basic rental car, but not impossible by any mean. The temperatures are indeed much cooler once reaching the top of the mountains. That’s not the unique interest of the place. 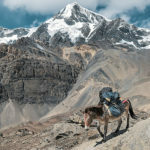 Many trails to be discovered either on foot or mountain biking through mountain villages, it can easily become a trekking paradise for the adventure seeker. As such this area is the best place in Cyprus for me. Feels authentic compare to the resorts of the coast, and in a sense reminded me a lot about the north of Portugal. Great trekking terrain for sure. This visit confirmed what we expected, Cyprus is a lot more than a beach resort for the party minded. 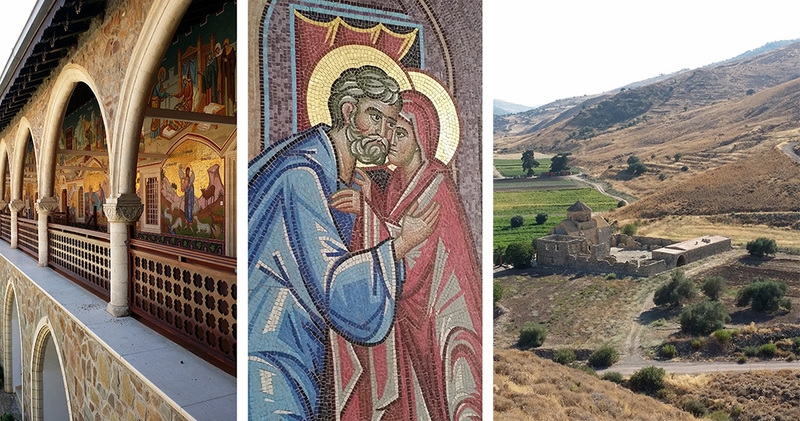 Between the archeology, the wine tasting, the many monasteries, the numerous mountain trails to explore and intimate coves along the sea shore, Cyprus definitely deserves your attention. Four days is a strict minimum, as such we avoided Agia Napa as well as Nicosia to focused on the better parts. We could have easily stayed a full week, but this gives us an excuse to come back.